From the databases list view, click the 'New database' button. Set the number of nodes that will contain this database. The minimum required number is 1. The maximum number is the cluster size (number of nodes in the cluster). Upon a node failure, and if this option is checked, the RavenDB server will automatically replicate the database content to another available node in the cluster, (one that doesn't already contain the database) so that replication factor is maintained. Select the specific initial replication nodes from the cluster for the database to replicate to. 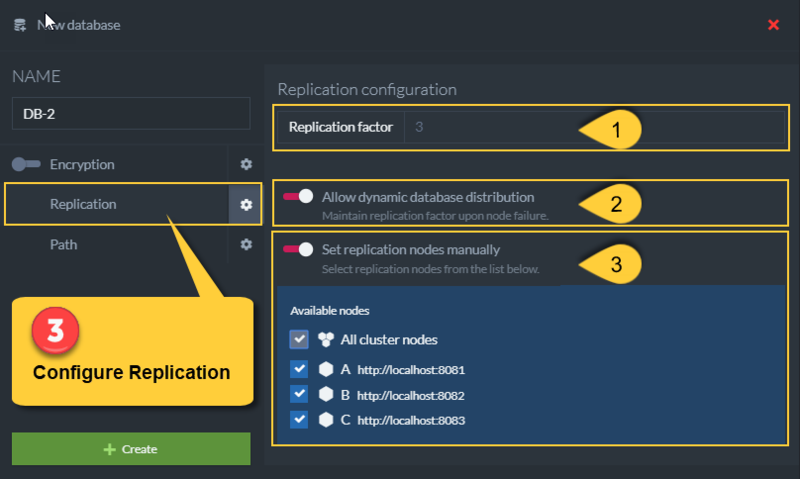 If no node is checked, then the replication nodes will be selected randomly from the cluster. 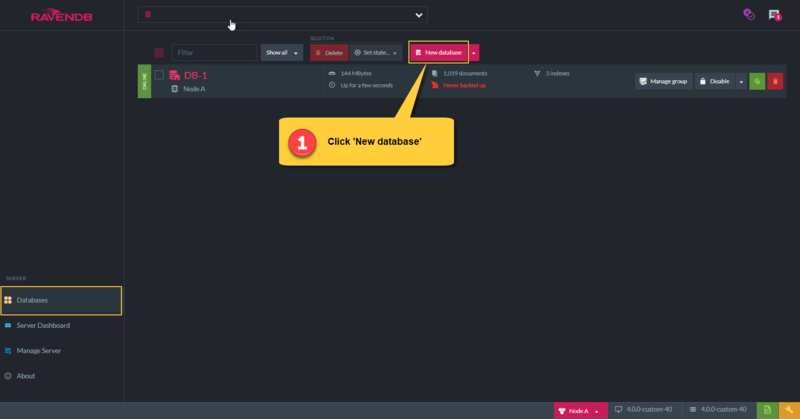 Set the directory path for database data. The DataDir folder can be set in the settings.json configuration file (e.g. "DataDir": "RavenData"). (where the RavenDB dlls are located).